Choosing a holiday is always a big decision. In fact, a study in 2014 said Britons spend over 30 hours choosing the right one. So it’s likely we’ve caught you somewhere along this part of your journey. If that’s right, we’re here to help you along the rest of the way. 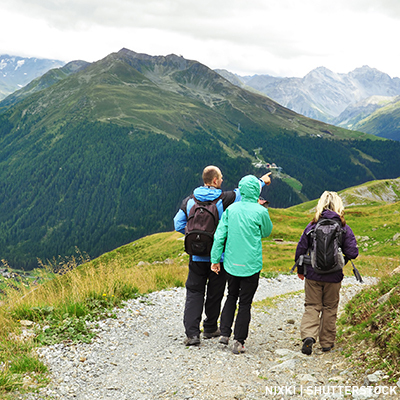 Let’s explain the difference between the different types of walking holidays. This is essentially an escorted tour with 6 to 10 like-minded people. We plan out the stops along the way, so you know where you’re going to walk, eat, and stay. A leader or guide leads the holiday. These people are based locally, and are either Headwater employees or local partners. They are passionate about your destination. And they are all happy to share their experience with you, pointing out the sights, secrets and delights along your route. On a single-centre holiday you and the group stay in one hotel or residence for the duration of the holiday. Ideal for really getting to know your chosen area. Explorer’s example: Walking the White Villages of Andalucia. Here, your base is Finca el Cerrillo, a 200-year-strong restored farmhouse ran by the Kinds, Sue and Gordon – with the help of Chef/Manager Christine – and Sybil, their trusted canine friend. From the hotel you will explore the surrounding areas, heading off on carefully planned out walks each day. From the church of Santa Ana in Canillas de Albaida just five minutes away, to heading off into Sierra de Alhama Natural Park via a 4×4, there is plenty to keep you entertained on this guided, single-centre adventure. Like to make new friends on holiday. If you want to see more of a country, travel hotel-to-hotel. This allows you to cover more distance across a region, and our guides make sure this is a smooth process. We provide transport, move your bags between hotels, and act as walking guides. You enjoy the journey and stay in comfortable, locally run hotels. During this stay you will stay at three fantastic hotels: an C18 hotel in Serra de Monchique, situated on the the site of the only thermal waters in the south of Portugal; a beautifully renovated village of 24 individual rooms in Pedralva, and a C16 former convent with modern touches in the historic centre of Tavira. In between all of these fantastic places to stay you can find stunning architecture, views, wildlife and traditional local cuisine. Want to travel with like-minded people. Self-guided walking holidays give you freedom. Freedom to travel at your own pace. Freedom to choose where to eat. Freedom to plan your whole day. They are for the adventurous at heart. But we don’t totally vanish. We give you a suggested itinerary with route directions as well as maps, so it’s as easy as possible for you to get from A to B. And you always have a point of contact. We’re available 24/7. Many of our holidays include a Headwater Rep too! As with our guided holidays, it’s possible to go from hotel to hotel or stay in one place for the whole of your trip holiday. The choice is yours. On this holiday, you and your friends or family stay in the same hotel or residence over the duration of the trip. We suggest a list of walks and provide information about the local area. You make your own choices. This helps when you want to know which routes are good for avid walkers, and which are right for the kids. Here you stay at the wonderful Morvedra Nou Hotel, located 7km from Ciutadella. A beautifully converted traditional farmhouse ‘finca’, this **** rustic hotel has wooden beams and exposed stone walls, and your very own terrace. From here you can pick your daily walks, ranging anywhere from 9km to over 13km. Never know what delights tomorrow will bring. 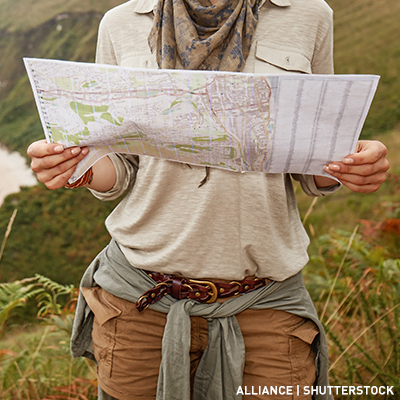 Discover your holiday region at your own pace: aside from walking, most of the legwork is done for you. We book all the hotels, provide an itinerary, and get your luggage to each new hotel. We provide a wine service for those who want it. And for each place you stay in, we give plenty of information about the interesting things nearby. Explorer’s example: Take in the landscapes of the Luberon in Provence. On this hotel-to-hotel adventure you’ll stay at a range of beautiful hotels, some small and some large – but all are guaranteed to make you feel like a member of the royal family. Throughout your time walking you will stop off at mediaeval villages, walk the breathtaking ochre cliffs, strolling by vineyards and much much more. Want to travel at your own pace. Choosing your holiday is a difficult decision. But now we’ve shown you the differences we hope the task is that bit easier— taking you several steps closer to the next big adventure. To find out more information about yours, contact our experienced sales team by phone or our website.